The heavily Catholic island nation of Malta has become the first European country to outlaw conversion therapy designed to attempt to alter a person’s sexual orientation or gender identity. This news reminds us that it is about time that the Vatican should also issue a statement opposing these practices which cause untold pain to people and which disrespect God’s creation. “The Affirmation of Sexual Orientation, Gender Identity and Gender Expression Bill imposes fines and jail terms for anyone advertising, offering, performing or referring an individual to another person which performs any form of conversion practice. “I want to reassure [the gay community] that we are dead set against conversion therapy because we believe, as they do, as government does, that it goes against human dignity. “We do not subscribe to beliefs that describe gay people as sick. Not an endorsement, but not a strong enough condemnation, either. “We expected this group of experts commissioned to write this Paper to include LGBTIQ people who are living this reality. It would have been appropriate for the Church to dialogue with us about this delicate subject. . . .
“We expected that the Church would sympathise with all LGBTIQ persons who had to go through conversion therapies and ask for forgiveness in the name of members within the Institution, amongst which priests, who recommended or practised conversion therapy. At no point was there any indication of concern towards the pain of such people or of their families. . . .
“We expected the Paper to clearly state that no sexual orientation is a disorder or an illness, and hence, does not require the person to seek any form of healing. . . .
“I feel I have to build bridges with the gay community who felt our language was too technical, too cold and too distant. . . . The Huffington Post report about the bill’s passage noted that “Catholicism is the official religion of Malta and the religion plays a major role in the passage of the country’s laws. For instance, the country didn’t legalize divorce until 2011.” Yet, Malta passed marriage equality and adoption laws which recognize lesbian and gay couples, as well as laws which allow transgender people to have the description of their gender changed on official documents. Stern is right, of course, but he doesn’t go far enough. The Catholic hierarchy should follow Malta’s example by issuing a similar statement opposing conversion therapy, a practice which is damaging and ineffective. Pope Francis has called time and again for pastoral ministers to “accompany” LGBT people on their faith journey. He can make this recommendation much clearer by stating that “conversion therapy” should never be part of that accompaniment. It is long past time that the Catholic hierarchy learn some things about human sexuality, including the sexuality of LGBTI people, instead of continuing to put doctrines ahead of reality and real people. Maybe there needs to be a synod on human sexuality, led by experts, researchers, and real people of all genders and orientations. And the bishops in attendance – including the pope – should come there to learn. And maybe after a few years, as they continue their education, they can once again speak about the sexual matters with some authenticity, rather than with gross ignorance. But in the absence of that, they can do what this archbishop has done. And maybe they can even learn some things from civil authorities who are more willing to treat all people with respect, and more willing to guarantee the rights of all their citizens. Can we send this information directly to Pence AND Francis? Didn’t Pope Francis, earlier this year, publicly support Mexicn bishops in their vocal opposition to their government’s attempt to criminalize so-called “Reparative Therapy”? Sadly, that opposition succeeded. They all (including Pope Francis) should be ashamed of themselves for this. But then, the “Church” has a very dark history indeed of supporting efforts to change, by force, people’s “orientation”. Remember the Papal Inquisition? 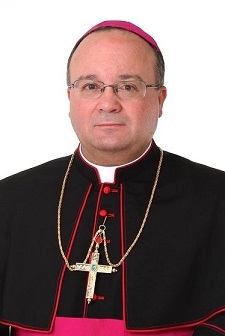 I have nothing but the highest praise for Archbishop Scicluna: at least he has shown a willingness to learn, to help redress the personal damage done by stubborn misconceptions in the Church about human sexuality. Unfortunately, other prelates (including Francis) remain at a very low point on this learning curve…if, indeed, they are on it at all. Conversion therapy does not work, both the APA and the AMA have rejected it for several years.